Maintenance and repair specialist CP Automation now distributes and fits Roxburgh EMC's innovative high voltage, high performance three-phase EMC filter range. The KMF3420V is specifically designed for use with high kW inverters used in photovoltaic solar power applications. Roxburgh's distributor of the year for 2015, CP Automation, can help customers integrate the filters along with compatible inverters into their solar power systems. 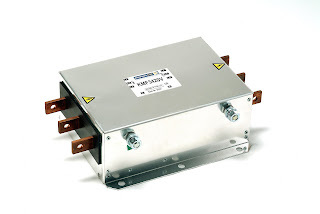 The high voltage model of the KMF series operates at a voltage rating of 690V, significantly more than competing products that usually only work up to 500V. The innovation came about after a world-leading manufacturer of solar inverters got in touch with Roxburgh and asked it to develop an EMC filter that worked at 690V instead of 600V. 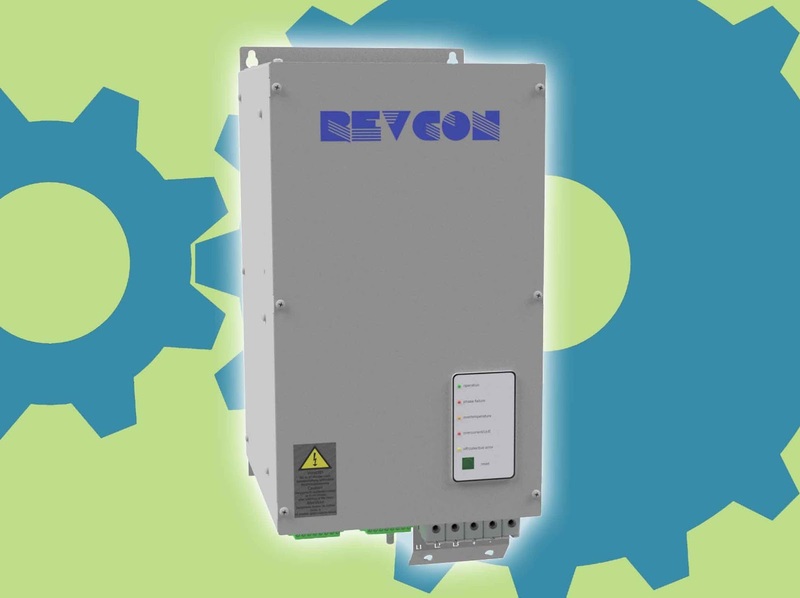 The 690V model has the same footprint as the 600V, resulting in significant space savings. The KMF3420V works at a temperature rating of 65 degrees Celsius, as opposed to the industry norm, 50 degrees. This makes the filters perfect for the difficult conditions of photovoltaic power applications, which present high ambient temperature challenges. "Renewable energy now provides approximately 18 per cent of global electricity generation," explained John Mitchell, global business development manager of CP Automation. “For that number to continue to rise, solar power generation and distribution needs to be as efficient as possible. That's why quality EMC filters are so important to the industry. For more information about CP Automation's catalogue of Roxburgh EMC products, go to www.cpaltd.net. 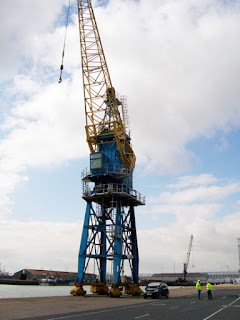 When contemplating entering the cranes and hoists market, panel builders and system integrators need to think outside the box - not only laterally but vertically as well. Mainstream horizontal applications like conveyors cannot be shoehorned into the same category as cranes and hoists. Tony Young, owner and director of CP Automation explains the complexities of vertical lift applications. 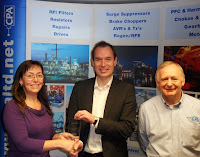 Roxburgh EMC are delighted to name CP Automation Ltd, as their 2015 Specialist Distributor of the Year. 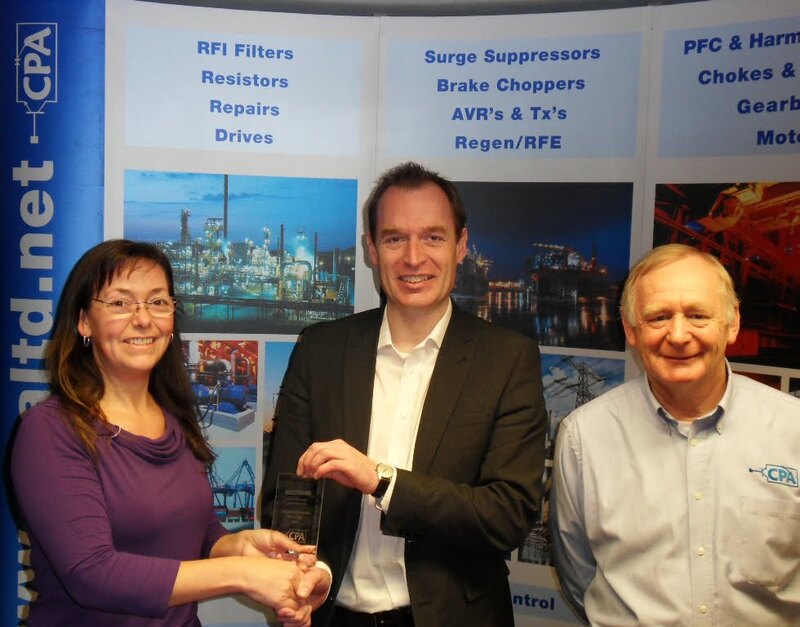 After remaining a distributor of Roxburgh EMC products for over three years, CP Automation, a supplier and repair specialist of industrial equipment, is now being awarded for their dedication to the Roxburgh EMC brand. CP Automation stocks over 40 of Roxburgh EMC’s industrial filter lines, including the popular three phase filters, three phase and neutral products, plus, high current single-phase ranges. The team also comprises skilled engineers, who can offer technical advice that proves extremely valuable to customers. "Since our partnership with Roxburgh EMC, we have been able to help our customers by solving their EMC issues, which makes it a great fit to CP Automation's portfolio," explains John Mitchell, Global Business Development Manager of CP Automation. 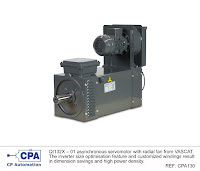 CP Automation specialises in universal peripheral equipment for variable speed drives as a core part of its offering to include dynamic braking resistors, external brake choppers, regenerative units, harmonic filters - both passive and active - line, motor, sine wave chokes and motors. "Our decision to stock from 1A to 820Amps has given our customers the ability to win projects when they have been let down by their current suppliers due to lead-time issues,” continues Mitchell. “We work closely with OEMs in helping them design the right product into their application. Roxburgh EMC's manufacturing ability to design custom filters with brand labelling, as well as responding to time pressures, has also been key to our customers’ requirements." Tony Young, Director of CP Automation Ltd, concludes; "The synergy to market between aspects of both businesses has resulted in this success utilising the key people in sales, marketing, engineering, procurement and manufacturing. We look forward to continuing the growth we have seen into the future." Roxburgh EMC is a manufacturer of EMC solutions including EMC filters, EMC components and surge protection devices for a range of industrial applications. Roxburgh EMC was established in 1969 and is one of four brands of DEM Manufacturing; a division of Alpha 3 Manufacturing Limited. For more details about Roxburgh EMC, please visit www.dem-uk.com/roxburgh. For more information about CP Automation, please visit www.cpaltd.net. Photograph (L-R) Louise Underwood, Accountant at CP Automation, Tom Downing, Roxburgh EMC Product Manager and Gary Cook, Internal Sales Engineer at CP Automation. Supply and repair specialist CP Automation and motor manufacturer VASCAT are working together to challenge the way companies commission industrial motors. Through electrical and mechanical customisation, VASCAT adapts each motor’s design to reflect the requirements of specific applications. Together, CP Automation and VASCAT can offer a complete motor and inverter drive solution even for the most complex industrial projects. VASCAT and CP Automation are calling for engineers to opt for customised motors instead of off-the-shelf solutions to help improve the performance and accuracy of the application and increase overall system productivity. 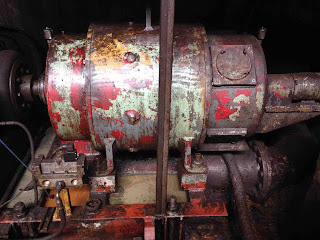 VASCAT and CP Automation have already worked together on projects to retrofit old machines and installations in the steel sector and replace older generation motors with more efficient ones, built to the same specifications. VASCAT offers solutions for low and high-speed motors. VASCAT’s gearless high-torque low-speed synchronous motors allow the elimination of gearboxes, belts and pulleys by directly coupling the motor to the load. VASCAT direct drive motors are available with outputs from 2kW to 340kW in the 100RPM to 1000RPM range, which makes them ideal for applications in renewable energy, converting, testing systems, metal processing lines and more. 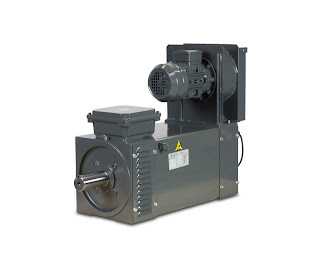 VASCAT’s high-speed asynchronous vector motors ensure the high dynamic performance required by power train and engine dynamometers, energy recovery and test rig applications. CP Automation specialises in the supply, repair and field service for industrial electronic boards, PLCs, AC and DC drives, resistors and inverters.